Welcome to Viva Las Vegans, the world’s first ever Vegan Comedy club all across the UK. This is our last Nottingham show in 2019 at Angel Microbrewery and we’re very excited! We offer you the best stand-up comedy available in a lovely, intimate, engaging and hilarious environment. Everyone is welcome. 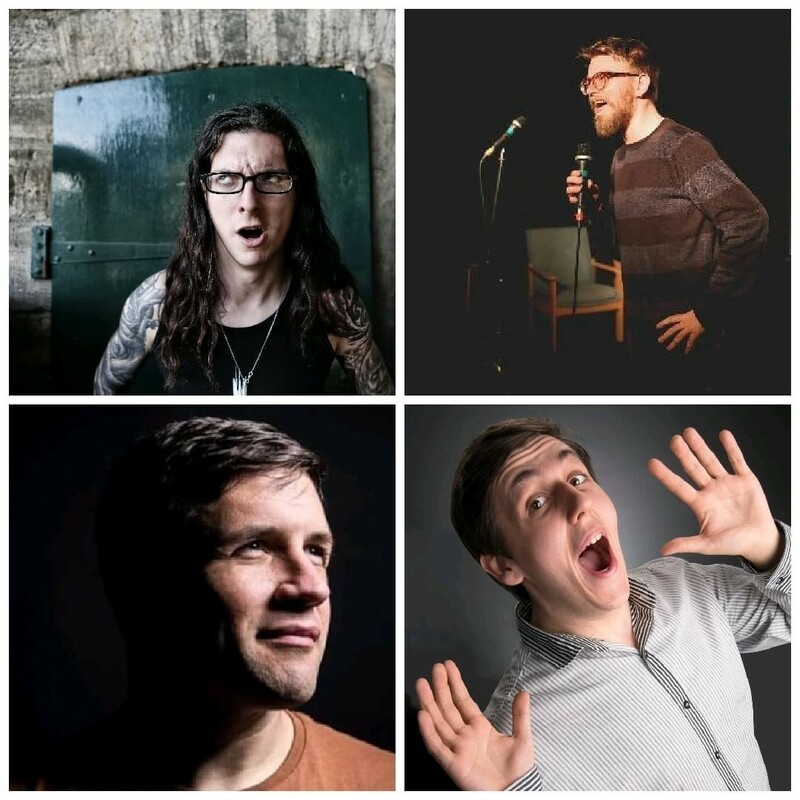 We give you a line-up full of exclusively vegan comedians. Plus we will have some amazing vegan food made by local caterers available on the night. (Arrive early before the event and order with the venue. Failing that - there will be vegan finger food at the event). Delicious vegan food AND professional comedy – what more could you ask for? Come early for the vegan food and stay for the high quality comedy. Andrew O'Neill is an award-winning comedian off telly and radio dabbles in the occult. What happens when you invoke Mercury, trickster god of the spoken word? A show that's 'absolutely hilarious' (Neil Gaiman). Highly anticipated return of a Fringe favourite. Off Buzzcocks, Saxondale and his own BBC Radio 4 show Pharmacist Baffler. ★★★★★ (ScotsGay.co.uk). ★★★★ (Chortle.co.uk). Author of A History Of Heavy Metal. His distinctive voice and alternative credentials have set him apart and allowed him to carve out a unique place in the comedy world. Tickets are limited as the capacity is limited (Buy them whilst you can!) They are £10 in advance/ £14 on the door (We can take card payments). Buy your tickets directly at WeGotTickets. Please share this event with your friends. Early bird tickets available for £8. Vegan Finger food available at the gig at the gig upstairs. You can order food from the bar, but to avoid delays arrive with plenty of time to order, cook and to eat. We'd recommend getting there around 6pm. But there will be food available upstairs. Season Pass Ticket/s (entrance to all 4 Nottingham Viva Las Vegans gigs in 2019). Display your ticket/s upon arrival, we'll email them to you. Enjoy the show.